It was twenty-five years ago on Monday that the Exxon Valdez oil spill set off one of the most devastating environmental disasters in United States history. Years later, that oil couldn't possibly be still affecting the ecosystem, right? Bad news, even twenty-five years later, it remains on the beaches. On March 24th, 1989 an oil tanker ran aground on the Bligh Reef in Prince William Sound. The accident caused 11 million gallons of oil to spill out into the surrounding water and onto the shore. 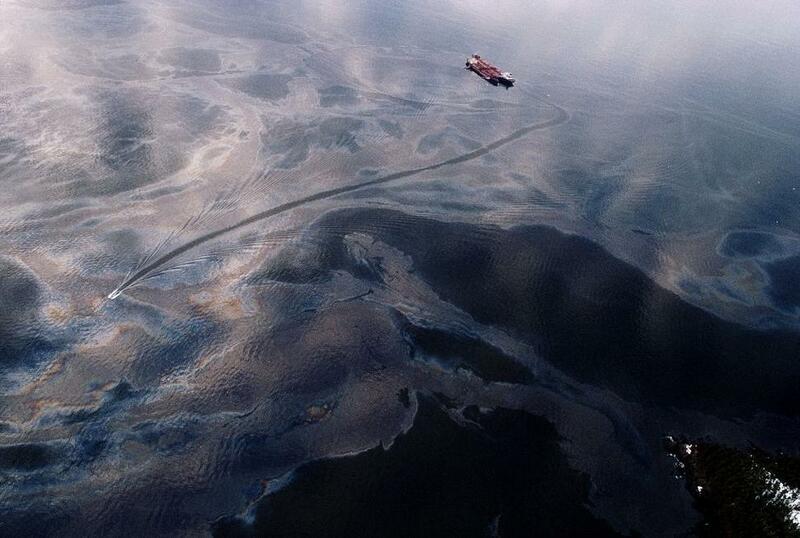 This spill devastated wildlife such as herring and salmon spawning runs. Today, the effected wildlife like sea otters and pink salmon are still recovering from the dramatic loss of population. Earlier in February, the soil and water surrounding the area where the spill occurred was tested to see if the area was still influenced by the crude oil. The scientists found that most of the chemicals found in the area 11 days after the incident were still found there today, the scientists found lingering oil on boulders on the surrounding beaches as well as a lingering, foamy mousse-like emulsion in the ocean and on the shore that had them baffled. The question that comes to mind is how did this oil on the beaches of the Prince William Sound get missed? The beaches were steam cleaned after the old spill, and yet the physical residue of oil still remains on the boulders. Scientists at the 2014 Ocean Sciences Meeting speculate that the foamy emulsion is likely the cause. The outside of the emulsion is weathering, but the inside becomes what these scientists describe as mayonnaise. This thick pasty liquid is made up oil that has mixed with seawater. When it washed up on shore, it nestled itself under boulders and rocks, the undersides of which were never cleaned. This testing shows that the effects of oil spills linger in the area long after the visual effects have been cleaned away. These long term results spell further trouble for the ecosystem in the Gulf of Mexico after the BP oil disaster as well as other areas affected by lesser oil spills. The effort to assure that these affected ecosystems are restored so that they can heal is literally one that demands that no stone go unturned.